Installation of pump pipe: When installing pump pipe, the source of concrete should be considered. If it is commercial concrete, mixing and transportation truck feeding, transmission wear-resistant pump pipe can be installed locally, as long as it is convenient to take over and feed. If the concrete is mixed on site, the position of the mixer is determined according to the site and the feeding mode of the mixer, and then the position of the concrete pump is determined according to the unloading height of the mixer and the requirements of the wear-resistant pump piping and taking-over. It is very important to install and debug the wear-resistant concrete pump pipe in the field construction. 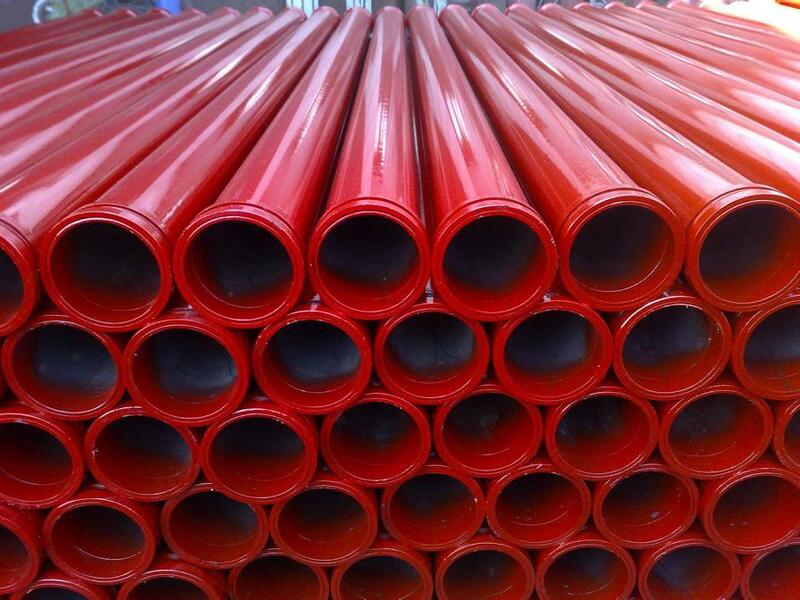 How to use the wear-resistant concrete pump pipe is directly related to the progress and quality of the project.we are provide concrete pump delivery pipe,you can know it. 1.In the process of pumping concrete pump, if the length of the pipeline is more than 3m (including 3m), it should be wetted and lubricated with cement slurry or cement mortar in advance. 2.In the process of concrete pumping, the concrete in the dismantled conveyor pipe shall not be scattered in the place where it has not been poured. 3.When the concrete pump is difficult to pump due to the phenomenon of pressure rise and instability, oil temperature rise and obvious vibration of the pipeline, it should not be forced to pump, and the reasons should be found out immediately, and measures should be taken to eliminate them. The mallet can be used to knock on the elbow and conical pipe of the conveyor pipe, and pump slowly or back to prevent blockage. Prev:What are the effects of the chemical composition of the pump tube manufacturer on the machinability?